This area of the forum is for arcade style machines. This is a new area and was created on 2/7/207. This is the place to list any parts you no longer need. Odds are that someone needs that thing that has been cluttering up your garage for the last couple of years. This is also the spot to advertise any parts you might be looking for. 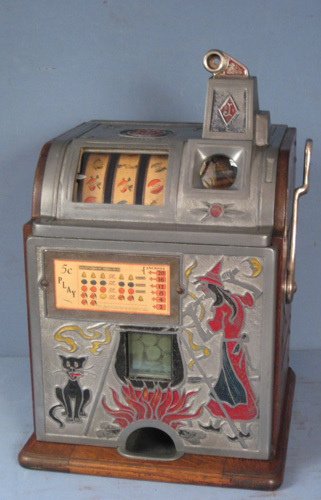 This is the place to post any type of article related to coin operated machines. Go to www.CoinOpPreservationSociety.com for more information. Area to discuss the upcoming CoinOpRegistry site. Only members of the CoinOpRegistry group are currently allowed in. Forum specifically for ACMCA (Antique Coin Machine Collectors Association) which is a Coin-Op club in the LA area. This is the support area for the online price guide (which now has the auction information). Forum member cpdretired has a list of what hundreds of trade stimulators have sold for on E-Bay. This area has that list. This is a restricted forum used by COCA for planning the upcoming convention.